On behalf of our Chairman, Todd Handcock, I would like to wish you a happy new year! This New Year’s message is intentionally belated to mark my six months with this dynamic chamber and to say Kung Hei Fat Choy ahead of the Chinese New Year. A new year brings new perspectives and new initiatives. However, before we share with you our ambitions and plans for 2019 and beyond, let’s celebrate the highlights of 2018. The CanChamHK properly entered its 40s in 2018 by turning 41. In association with the Canadian Consulate, we welcomed Finance Minister Bill Morneau in March, his first time in Hong Kong on a post-budget tour. 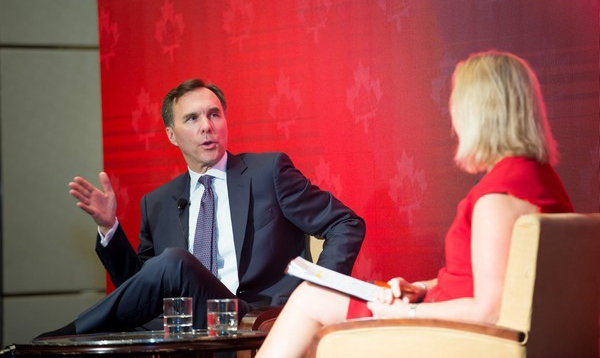 Chamber members heard his insights into Canada’s Budget 2018 and the opportunities it presented for business. In June, the Education Committee organized a luncheon with Hong Kong’s Secretary for Education, Kevin Yeung, on the role of the business community in equipping the future workforce with the necessary skills and experiences. In August, we were oversubscribed in the demand for the HSBC Archives tour, organized by the Financial Services Group Committee, where our members were regaled with a most interesting history lesson of banking in Hong Kong. 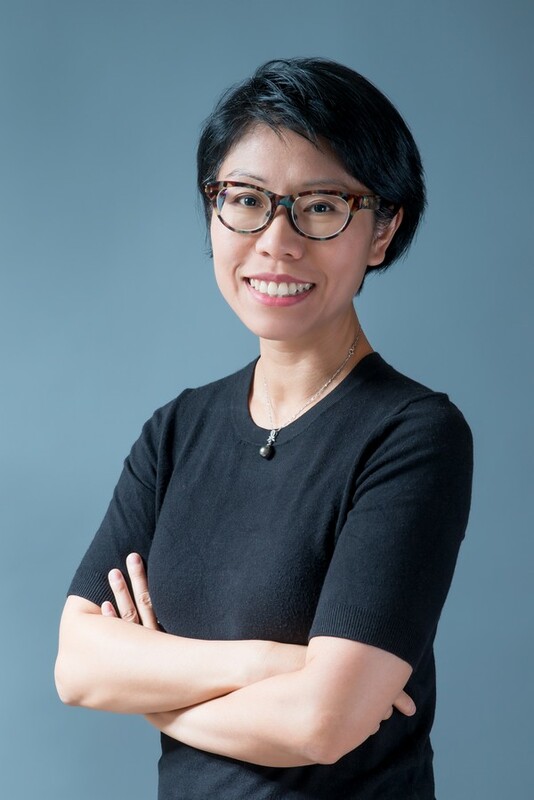 Thanks to the efforts of the Sustainable Development Committee, the Secretary for the Environment, KS Wong, chose to speak with CanChamHK members first after the Chief Executive’s Policy Address in October. In the same month, members enjoyed an all-Canadian scrumptious menu at the “Very Canadian Dinner,” a signature event organized by the Entrepreneur and Small Business Committee (ESBC). Another signature initiative was the mentorship programme, led by the Young Professionals Committee, that launched its impressive 7th season in November, with 26 pairings of mentors and mentees. Thank you to Ascent Partners for believing in and sponsoring this programme. And November is never complete without the annual Terry Fox Run, organized by dedicated members of the Canadian University Alliance, galvanizing the Canadian community in Hong Kong for cancer research. The year 2018 closed on a high note with yet another signature event, the Transpacific Entrepreneurial Conference, organized by the ESBC, to highlight the opportunity of the Greater Bay Area for Hong Kong. Signing an MOU with the CanChams in the Pearl River Delta (PRD) and Macau seemed only fitting at this event. In between these highlights were the many other events that benefitted our members thanks to the efforts of our other committees: the Women’s Network, the Property Committee, the Technology Committee, the Natural Resources Committee and the China Business Committee. In November 2018, our Chairman and our Executive Committee (ExCo) welcomed six new members from diverse industries. 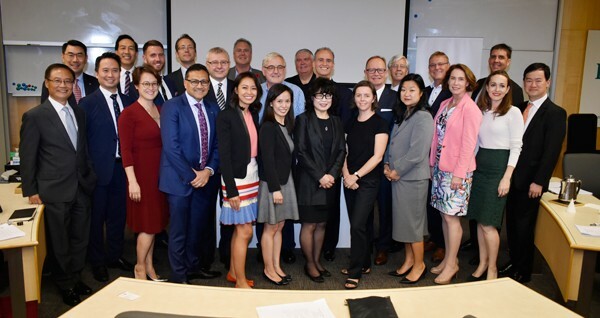 They are Brian Brown (Tai Hung Fai Group), Amelie Dionne-Charest (AD Medilink), Rosemarie Kriesel (RBC), Angie Lau (Forkast.news), Chris Marschall (Crédit Agricole) and Alex Tam (CIBC). We look forward to working with them to increase the value of the Chamber for our members. 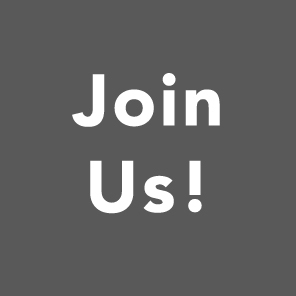 Speaking of new people, we are close to having a full team at the Chamber Secretariat. Please get to know us by visiting the Secretariat page on our website. In addition to the full time staff, we have just welcomed our new cohort of interns/management trainees. The three hail from the University of Waterloo and University of Victoria. We are currently hiring an administrative assistant who can help me with my diary and all the other essential, behind-the-scenes tasks. We will strive to bring value, access and engagement to our members. 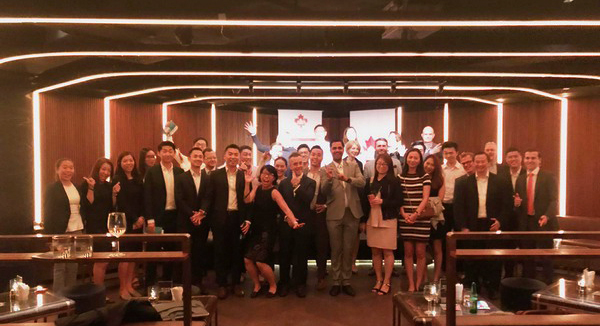 We will continue to emphasize that being a CanChamHK member is not just about being “loyal” to Canada but that membership is a business strategy in and of itself. 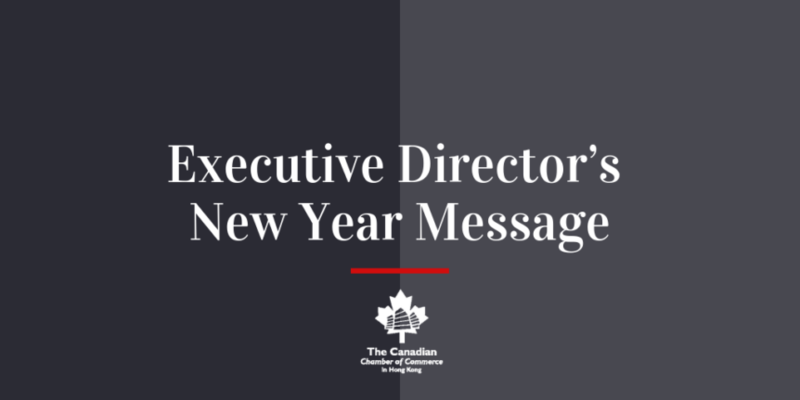 By using the combined experience of our members, we will continue to demonstrate the value of a CanChamHK membership by launching initiatives that will enable the Canadian business community to prosper. The power of CanChamHK lies in its ability to access influential leaders in business, government and academia. The MoU signed in December between us and the Canadian Chambers in the PRD and Macau will give us a wider network to attract and engage leading lights in Canada, Hong Kong and the Greater Bay Area.Coming up on February 27, we will host a luncheon featuring the Asian Business Leaders Advisory Council (ABLAC), in association with the Asia-Pacific Foundation, that will discuss how we can strengthen the connectivity between Canada and Asia in this relentlessly shifting world. This is an event not to be missed and I encourage you to get your tickets or purchase your corporate table now. 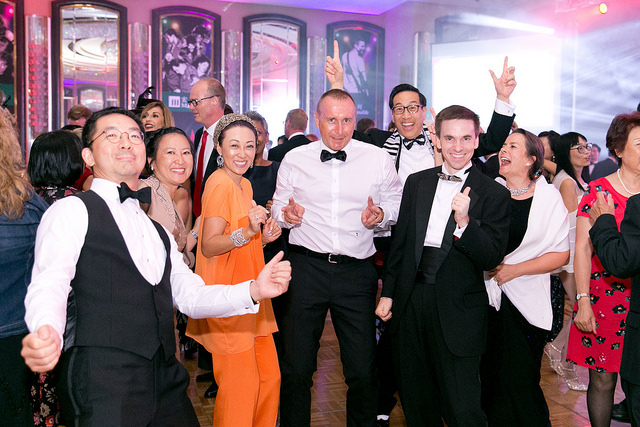 CanChamHK’s Annual Ball on May 18 is another unmissable event but with a much different feel. Having experienced my first CanChamHK Ball last May, I was struck with a sense of community and a desire to demonstrate and celebrate all that it means to be Canadian. Manulife and SunLife have been staunch supporters of the Ball for many years and we are so pleased to have both of them be our Ball Co-Chairs this year. We are now actively looking for sponsors and donations to make this year’s Ball – Boundless Canada – as memorable as ever. Please contact renee_lau@cancham.org to be involved! 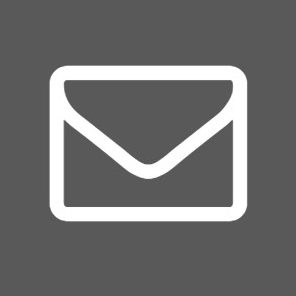 To keep this message brief, I will update you on the progress of a number of exciting, new initiatives in my next all-member message. 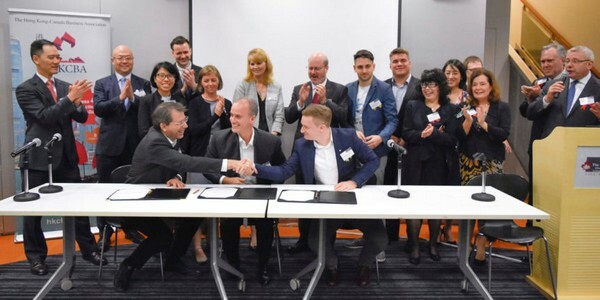 However, these initiatives include expanding our excellent events management services to Canadian educational institutions, focusing on the future of work and nurturing the talent pipeline in Hong Kong and Canada, and providing an elevated platform for the leading lights of our community to share their stories. We will be reaching out to you for your sponsorship and participation in these initiatives. A chamber of commerce can accomplish many things but at the heart of a successful chamber is the active participation of its members. A chamber can only be as strong as its members. CanChamHK is grateful to have a strong, renewed Executive Committee and an enviable set of Governors. As Governor David Armitage has remarked, our Canadian community in Hong Kong has “an embarrassment of riches,” in terms of people, ideas and resources. I call upon you to be active by joining our Committees, by renewing your memberships, by attending our many interesting events, but most of all, by being an ambassador for Canadian business. Together, our potential is boundless. We are ever grateful to our Platinum Sponsors: BMO, CK Infrastructure, CK Hutchison, CIBC, Hongkong Land, Manulife, RBC, Scotiabank, SunLife Financial and TD. Thank you also to our Gold Sponsors: Air Canada, Colliers International, Lan Kwai Fong and Melco.